Hypnotherapy is an excellent tool to help people lose weight, many people consult a hypnotist to lose weight, because it is very effective in motivating you to achieve your goals. It harnesses the powers of the sub conscious mind and allows life long changes to take place. If you are trying to lose weight it can be a long and arduous journey. have you tried and failed to lose weight before? Then I am sure that you know how frustrating and upsetting it can be. There are often many obstacles along the way like stress, low self-esteem, sadness and even boredom. People often get themselves into a pattern of overeating, dieting, overeating, feeling guilty and dieting again. This is usually referred to as a ‘yo-yo diet’ and will make your weight-loss hard to maintain. Whilst there are numerous fad diets and nutrition systems that focus on the foods that you eat and how regularly you eat them, hypnotherapy for weight loss changes your emotions and your relationships with what you eat. With hypnotherapy you can learn to enjoy the ‘right foods’ and not give your old eating habits a second thought. You might find it difficult to imagine a time in your life when you could turn down your favourite food and chose a healthier option, but with weight loss hypnotherapy it can be possible to change your thinking patterns and gain control over cravings and desires. 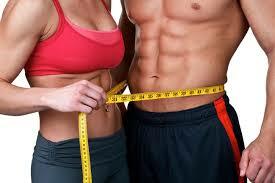 A weight loss hypnotherapist will help you develop a positive relationship with food and exercise again. The aim of the hypnotist is to make you feel good about your body and your actions in a way that will help you lose weight responsibly without impacting your emotional well-being. Why not give us a call to discuss your needs.